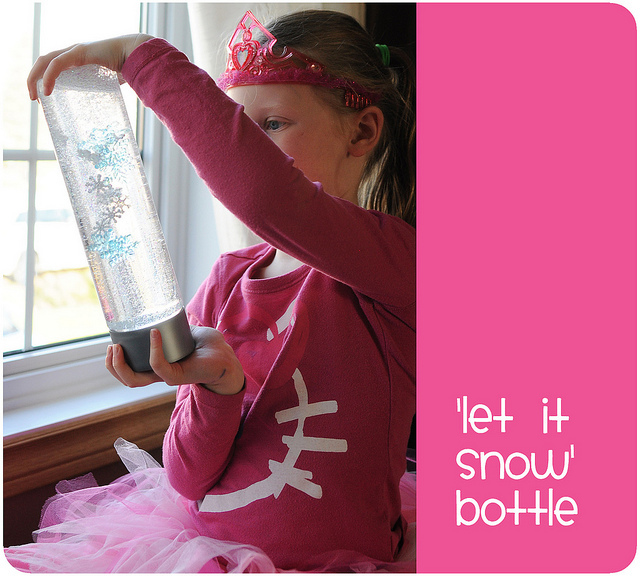 Jill can always be counted on for a cute food idea for kids and every now and again she will throw something not edible out there that is just as fun, like this DIY Let It Snow Bottle. She has a handy trick that makes the snowflakes inside fall a little slower so it looks more like drifting snow and less like a snowstorm. You can check out how to make your own falling snow bottle over at Meet the Dubiens.